We’ve seen a lot of smartphones launched by different companies offering impressive specs, new features, premium designs, and better hardware. The Android ecosystem has been loaded with lots of attractive Android phones. However, choosing the best phone might be a little difficult because you have so many great options to choose from. So we researched and collected a list of the top smartphones with an impressive cameras, better audio quality, longer battery life, and unique specs to help you get the absolute best handset. Without further delay, here is our list of the best Android phones of 2018. First on the list is the Google Pixel 3 XL. This phone has one of the best smartphone cameras around, featuring a unique extra-wide selfie shot mode. Just like its predecessor, the Pixel 3 XL features a single lens rear camera with AI technology, which can take multiple shots with one press of the camera button. From the series of photos taken, you can choose to keep the ones you prefer. Moreover, this phone supports wireless charging, and its Google Assistant helps you manage tasks, plan your day, and enjoy entertainment. 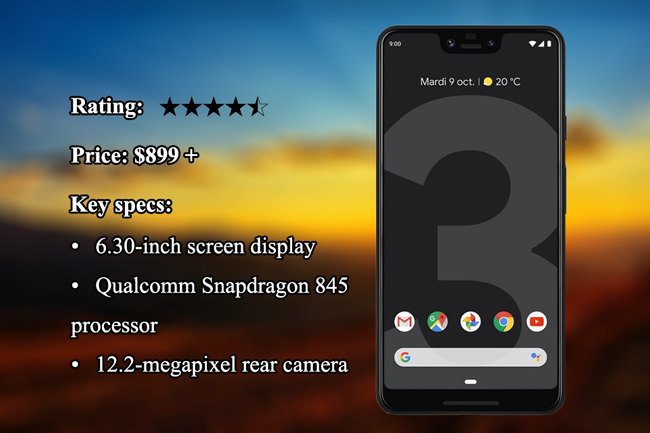 Pixel 3 XL stands out because of its premium hardware and camera, which makes it one of the top Android phones 2018. 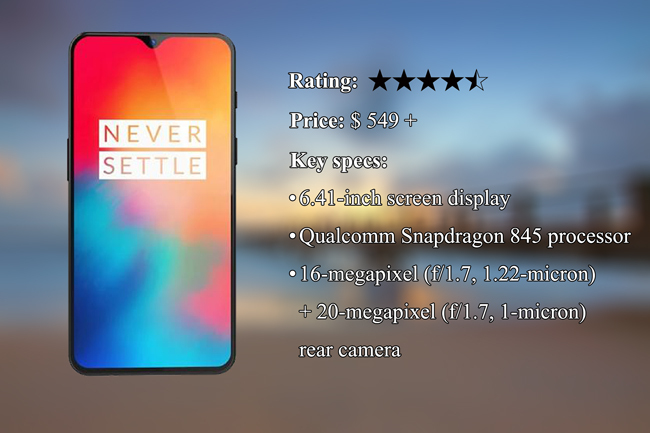 OnePlus 6T is finally launched at the end of October 2018, and though largely unchanged from is almost the same with its predecessor as it comes with a bunch of features like an in-display fingerprint scanner, battery with lots of stamina and so much more, it is a great choice for an Android phone. The OnePlus 6T display is a 6.41-inch AMOLED screen with a teardrop notch above and thin bezel below the screen. Its scanner is placed at the bottom of the display, allowing users to unlock the 6T by holding their finger on it. 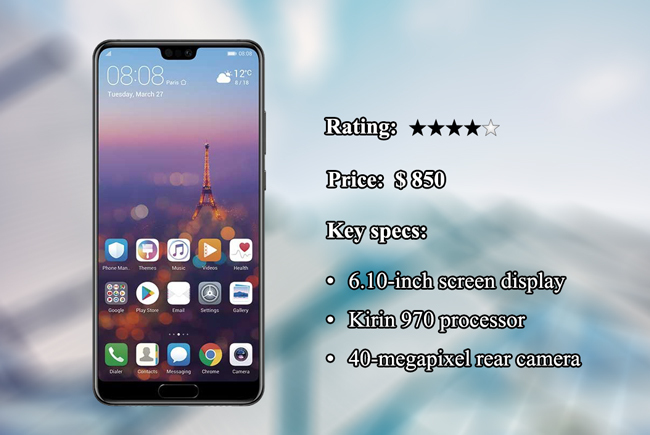 However, the lack of a headphone jack and no IP water resistance might be an issue for some; however, its strengths are its great battery life, improved power management, clean software, and premium design. Another great option if you’re looking for a new Android phone in 2018 is the Samsung Galaxy S9. 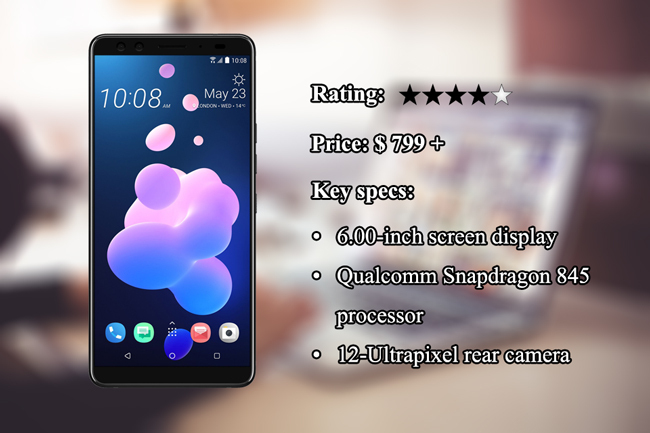 This device is very similar to the older S8, meaning you will likely get the features and performance to an already excellent phone in a slightly faster and smoother package. Galaxy S9 has a brilliant 5.8″ QHD display and enhanced Dolby Atmos surround speakers, giving you an immersive entertainment experience. If you are a user who cares about image quality, you can now take quality photos with its dual aperture camera setup whether you are in broad daylight, moonlight, or even in a low-light scene. Although it is not as big as the other flagship phones, Samsung has managed to fit super specs into a much smaller handset which sits perfectly in one hand. Furthermore, the S9 has impressed us with its super-bright screen, rich color, and better contrast of its display, and it is the fastest Samsung phone ever released. The Mate series is certainly a high-end smartphone featuring great specs and hardware. 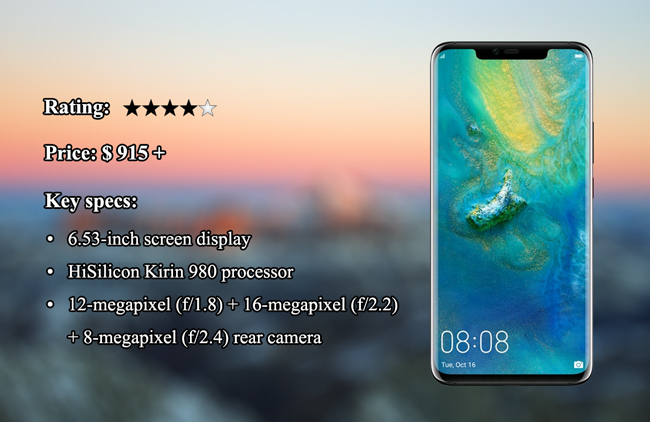 Huawei Mate 20 is one of the most pleasing and satisfying devices to own and is considered to be one of the best Android phones 2018. It houses an all-glass screen with curved sides laid over aluminum frames and a teardrop notch similar to OnePlus 6T. Besides, it has a 6.53″ LCD display with a resolution of 2,244 by 1080 in an 88% screen to bezel ratio, which is great for watching videos and playing games. In addition, it has the flagship Kirin 980 chipset inside paired with 4GB or 6GB RAM and 64GB 0r 128 internal storage. Also, you will find 24-megapixel selfie lens and triple rear camera consisting of a 12MP primary lens with an aperture of f/1.8 aperture, a 16MP wide-angle lens with an aperture of f/2.2, and an 8MP telephoto sensor with an aperture of f/2.4 and optical image stabilization (OIS). Huawei Mate 20 comes with an excellent battery life as well as video camera capabilities, which has a real-time object recognition. Like the most of the flagship phones, LG G7 ThinQ was built with a notch and all-glass design. It’s got a 6.1-inch LCD screen, which is very bright, making the text easy to read. Moreover, visuals like videos and images are clear even in direct sunlight. With its Bright Mode, its camera adjusts four times when taking photos and videos in a dim and poor condition of light. It provides you with filters according to your subject and enables you to switch to a wide-angle shot when needed. The LG G7 ThinQ features DTS-X Virtual Surround sound, which aims to improve your listening experience. Although its battery is underwhelming for power users, it is still one of the best new Android phones 2018 due to its Boombox speakers that provide loud and clear sound and its large, bright, high-resolution bright. 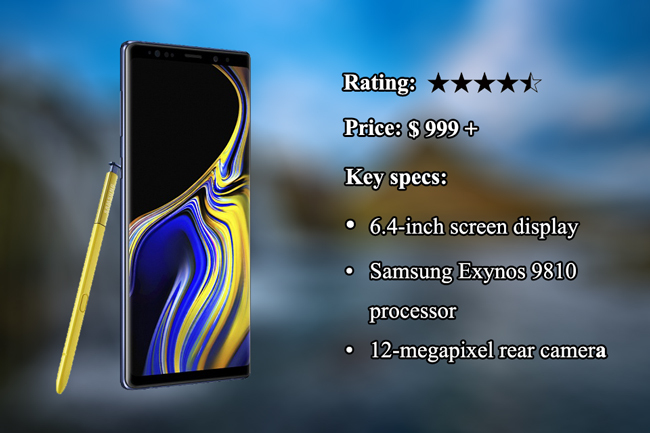 Another one of the best Android smartphones in 2018 that you should consider is the Samsung Galaxy Note 9. 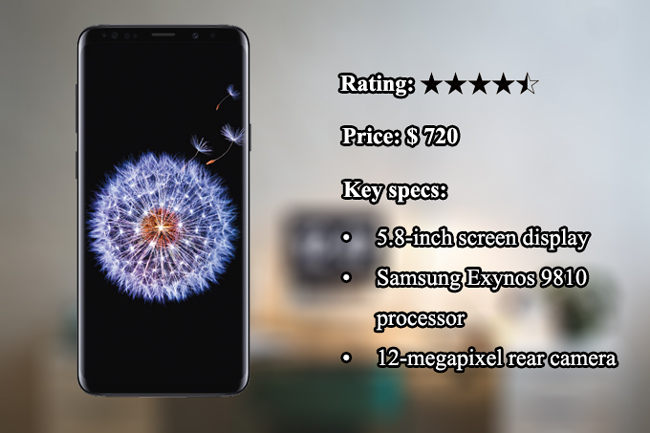 It is packed with attractive features, including low light camera capabilities, S-Pen shortcuts via Bluetooth, and a lot more. It has a bigger display than its previous version with a 6.4-inch screen. It boasts a large 4,000mAh battery life and an immense storage option of 1TB. Its camera has been improved and the S-Pen enables you to take faraway photos, use it for presentations, or insert annotations as you go. 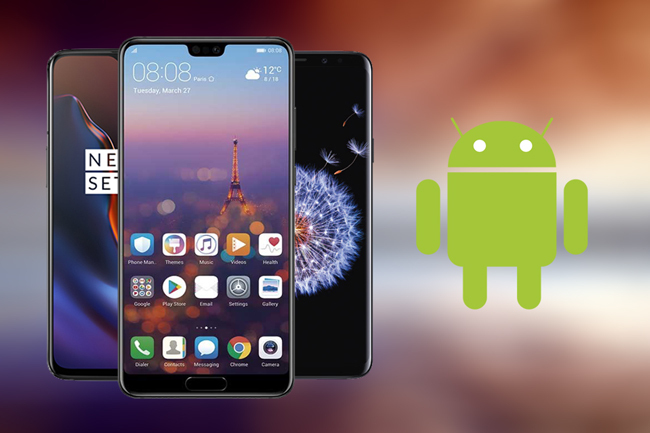 Though it’s quite expensive, it deserves a spot on the list of the best Android smartphones as it allows you to enjoy its features for longer amounts of time and have fun with its clever S Pen capabilities. If you are looking for another excellent smartphone that has a camera with a unique value, then you can use Huawei P20 Pro. It has a triple rear camera, which is designed to provide versatility and an incredible low-light mode; with the P20 Pro, you will not need to worry about its battery life. This 6.1-inch phone comes with an OLED screen, a fast processor, as well as a massive 4,000mAh battery. What makes this device stand out from other smartphones is that it is equipped with a Super Night Mode that allows you to take quality photos even in very low light scenes. Also, it has a great battery life that can last a long time on a single charge. 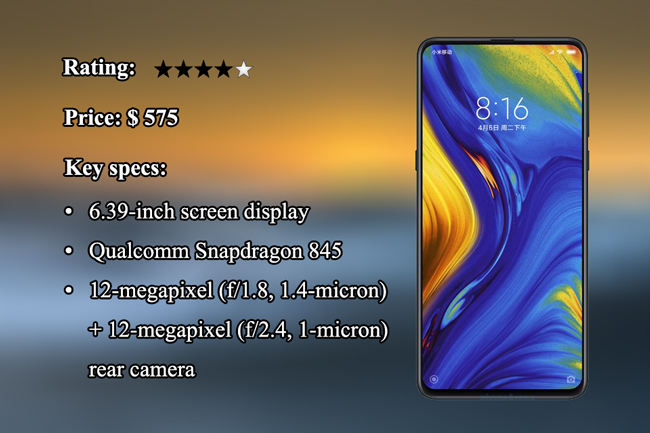 The newly-launched phone Xiaomi Mi Mix 3 is also a good Android phone to buy in 2018. It features an AMOLED display with a surprising 93% screen-to-body ratio and new slide-out camera. It has a similar design to the Oppo Find X, however, this time around, the front-facing camera has been hidden. Aside from that, it comes with the Snapdragon 845 processor and an option of 6GB, 8GB or 10GB of RAM. This device is also available in five color options including Onyx Black, Jade Green, and Sapphire Blue. This phone is worthy of your hard-earned money because it offers you better performance paired with good storage capacity at a good price. 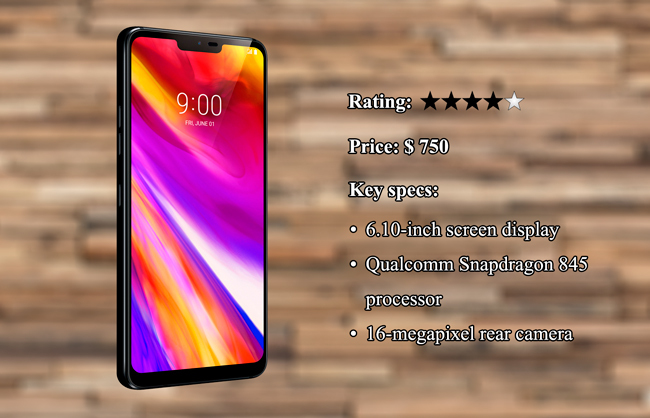 Additionally, its sliding mechanism hides the front-camera, and the no-notch design leaves more room on the screen, which means you take full advantage of its 6.5-inch display. HTC U12 Plus was launched by the Taiwanese manufacturer HTC in May 2018. This phone is suggested if you are looking for a decent alternative to smartphones like iPhone or Samsung. Apart from its fast processor, HTC U12 Plus is water resistant and has good cameras that optimize HDR boosting techniques. However, it features a unique method of opening apps by squeezing the sides of the phones, and this may be a deterrent to some who may feel more comfortable with traditional methods. The “buttons” that you squeeze on the sides of the U12 Plus are not actually true mechanical buttons, but rather non-moving pressure-detecting sensors. If you can get past this, though, the HTC U12 Plus excels at photography as it gives good results for artifacts, flash, zooms and bokeh. 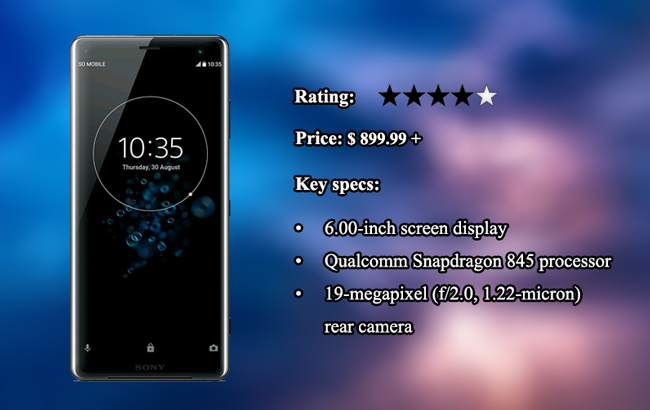 The next phone on the list is Sony Xperia XZ3, has a premium look and feel due to its sleek and modern design. Plus, its curved display adds up to the elegance of its design. The Sony Xperia XZ3 comes with IP68 water resistance and is protected with Gorilla Glass 5 on its front and back. One complaint is that the fingerprint scanner is placed too low on the back of the phone and becomes awkward to use. Despite this, the Xperia XZ3 is a very attractive, polished, and well-designed Android phone. For video enthusiasts, it can record 4K HDR video excellently, a major benefit when considering the best Android phone in 2018. All of the phones mentioned above are the best Android smartphones 2018 and depending on the exact features you need, our list has one to fit your needs. Most of them are outstanding in all areas that matter like performance, camera, design, and value, but some have certain unique features that may make them the ideal phone for you.